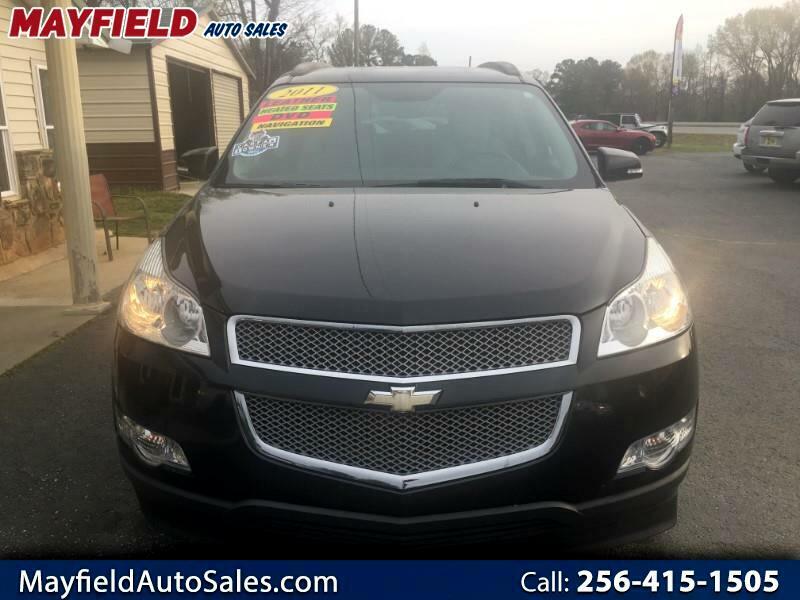 WOW BEAUTIFUL 2011 CHEVROLET TRAVERSE!!! BLACK WITH CHROME ACCENTS AND GREY LEATHER INTERIOR!!! LOADED WITH REAR VIEW CAMERA, NAVIGATION, HEATED AND COOLED SEATS, REAR BUCKET SEATS, DVD PLAYER AND POWER LIFT GATE!!! CLEAN CARFAX ONE OWNER WITH 117,242 MILES!! !